One thing that I enjoy doing with the kids is building and creating fun things. So when I can find new items to do this with I always want to try them out. 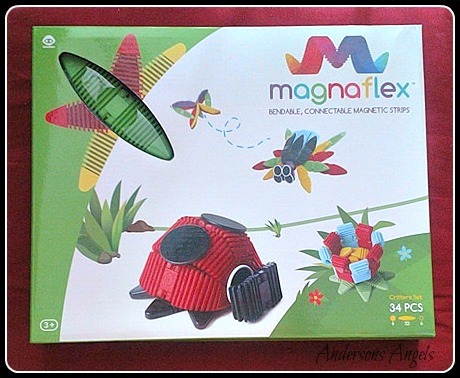 This year we are trying out the new WowWee Magnaflex Critters Set (34 pieces) - Flexible Magnetic Construction Kit . This is a very neat and innovative construction set. Magnaflex is a creative construction kit that helps inspire kids of all ages to flex their imagination and build anything they can think up. The colorful kits include magnetic strips, connector pieces and an easy to follow instruction guide with project ideas including animals, vehicles, wearable accessories and much more. Magnaflex's unique shape and material allows kids to easily bend, zip, connect, or stack the magnetic strips together, and decorate with metal connector pieces that also add structure. 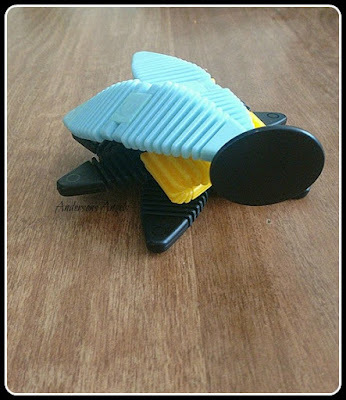 Angel and I had fun creating a bumble bee with our critter set. There was a variety of critters that we could easily build using the instruction guide. I really like the pieces are not to small so they will not easily get lost. I like that the kids can build 2D or 3D creations while using the magnaflex pieces. 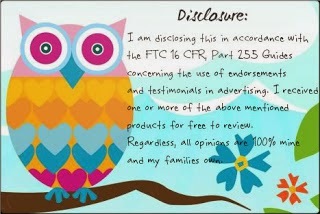 This is a great educational toy that promotes creativity, visualization, and fine motor skills. I like that the Magnflex pieces are interchangeable so if you get different sets the pieces will still work together. Also by getting different sets it will allow your children to have more color choices to pick from to expand their creativity on what their creation will look like. Magnaflex uses neodymium rare-earth magnets that are safely enclosed inside the Magnaflex strips which ensure a strong magnetic connection. I personally like that the magnets are enclosed because I do not have to worry about them falling out and my little guy accidentally eating one. When your kids are done playing with the Magnaflex strips they can easily be stacked together for easy storage and transport.